Jeevani. The bearer of life. Like a rare spell of shower in a parched land, Jeevani milk has been the harbinger of life (Jeevan) in a land of sick, dying children. At an age where the rich are cooped up in their mansions, lost behind their gadgets and chasing dreams of IITs and JNU, little do they concern themselves with the places lying beyond the glare of gizmos and city- lights, where children are devoid of proper food and perish in the dark.But only so long, for Jeevani Milk came in like rain in a desert, a beacon in the darkness of poverty and changed the contours of life forever. Children subject to malnutrition or anemia often suffer from cramps in arms and legs, loss of appetite, tiredness, low weight and headaches. Within a month of administering the medicinal milk, all these problems tend to get resolved. There is a distinguishing revival in their health and the children regain their appetite and weight. With increased appetite, alertness and substantial improvement in health, the children would come rushing to their benefactors and say how their cramps and pains had, as if, almost magically disappeared! In a small hamlet in Paalaguttapalle (Dalitwada), Chittoor (DT), A.P., the programme of giving milk and ashwagandhadhi to malnourished children began in April, 2014, under the guidance of Dr. P.L.T. Girija, Sanjeevani Ayurveda and Yoga Centre, Chennai. 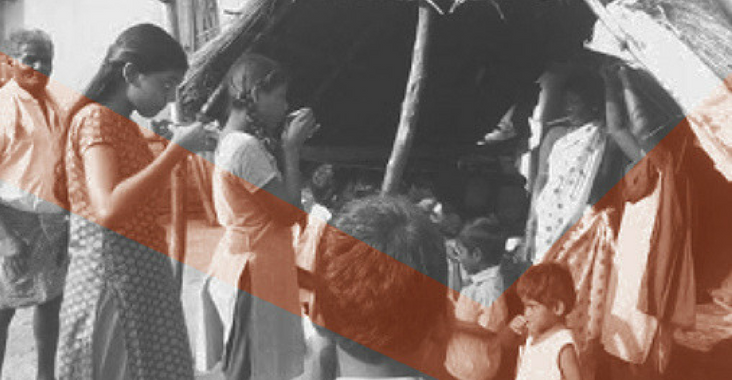 Based in this village since 1996, Aparna and her companions tried every possible method to imbue the children with proper health. However, nothing seemed to work. Being a village of landless laborers the food has always been nutritionally deficient, and the children malnourished. Jeevani milk with its ayurvedic properties (Ashwagandhadhi churnam) and also an iron compound “loha bhasmam”) not only restored the children to health, but also maintained their well-being throughout the years. Whereas earlier the parents had to spend huge amounts of money for doctor’s visits alone, a survey showed that after a year of milk and ashwagandhadhi, most of the children had not fallen ill even once – while earlier a child would fall ill about twice a month – according to the survey. In the course of the year there were fewer and fewer instances of ailment and there were only 4 cases of fevers, and 4 cases of cold among the 35 children of the hamlet. The medical costs thus saved equaled the cost of milk plus ashwagandhadi and additionally, there was the bargain of healthy children! 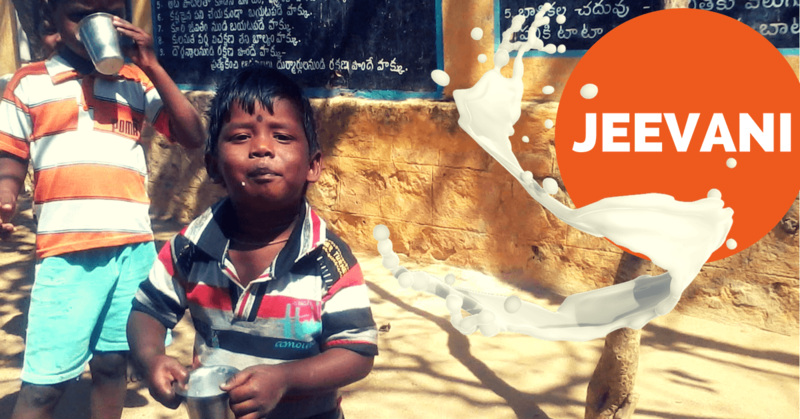 With the success of Jeevani milk in Paalaguttapalle village, the programme began to spread organically as friends started it and told their friends, who could then take it up in their capacity. From the headmaster of the neighbouring village Varadappanaidupeta who requested to administer the same medicines for his children, to a friend who agreed to sponsor the scheme for a village thus benefitting the children from the Vaddar community in that village, to a patient who started the initiative with a group of poor children in Andaman islands, a friend who took it up in the tribal areas of Jharkhand, from government schools in Chennai to a Harijan Seva Sangh hostel in Thirukoilur, Jeevani brought a glow of health wherever it went, steadying the flickering flame of life in all these places. The letters from the teachers in each of these places are testimonial to the success of the scheme. Dinamalar, a popular Tamil newspaper, covered this in its different editions; however, much remains unsaid about the undying efforts of these invisible heroes, working silently in the background while the rest of the country remains dozed in its gizmos and glittering urban landscapes. The onus lies on us as educated and self-avowed individuals to spare a glance away from our computer screens and take up the cause in different places to duel the twin-monsters of poverty and malnutrition. 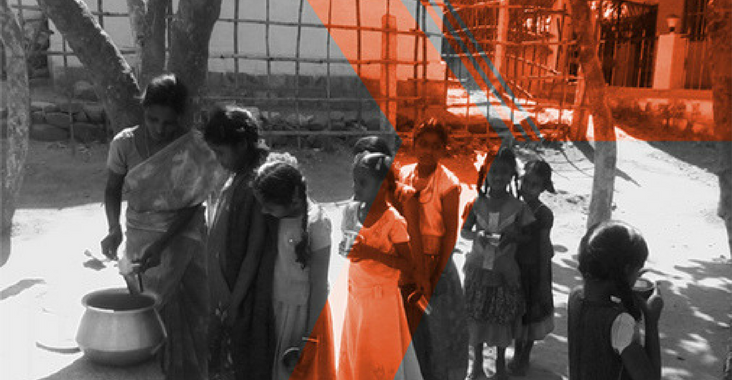 With an average cost of 7 to 10 rupees per child, an approximate of Rs.10, 000/- can serve 30 children for a month. This needs to spread throughout the heart of the country, so that many more children can benefit from it. Sanjeevani avows to be only too glad to help with the process. With a benefitted Anganwadi woman going on a record to ask if instead of or in addition to mid- day meals, the government could make it compulsory in schools as well, Sanjeevani hopes to draw the attention of the government and policy makers, by spreading the milk mission to all districts of Tamil Nadu as well as a pilot effort in other states. I’m a writer, painter, movie buff, hobby-poet & bibliophile. When life gives me lemons, I write about ‘em!